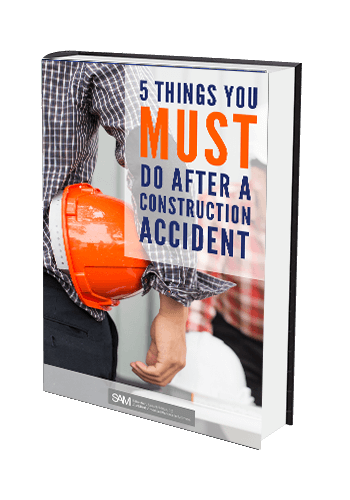 New York Defective Safety Equipment Injuries | Construction Equipment | New York Personal Injury Lawyer | Silberstein, Awad & Miklos, P.C. Construction workers are typically exposed to working at elevated heights. Falls and injuries resulting from an elevated height are usually severe and permanent. Workers should be protected and provided with safety fall protection equipment when working at elevated heights. A person should consult a dedicated New York defective safety equipment injury attorney if they have sustained serious injuries due to defective or lack of safety equipment. An experienced construction accident attorney can help a person file claims for their injuries. It is the owner’s and general contractor’s responsibility to make certain every worker on a construction site working at an elevated height is provided with proper safety fall equipment. A worker should be told where any and all safety fall protection equipment is stored on the construction site. Workers should receive proper training and instruction as to how to properly and safely use safety fall protection equipment. Safety fall equipment such as ropes, slings, hoists, lanyards, and harnesses should be worn when working at elevated heights. These items are specifically designed to prevent injuries when working at heights. If you are injured because you were not provided with safety fall protection equipment, please contact our firm. We will hold the owner and general contractor responsible for their failure to provide safety equipment. All owners and general contractors at construction sites must provide, furnish or erect, or cause to be furnished or erected for the performance of such labor, scaffolding, hoists, stays, ladders, slings, hangers, blocks, pulleys, braces, irons, ropes, and other devices which shall be so constructed, placed and operated as to give proper protection to a person so employed on a construction site. Safety equipment is not limited to construction site equipment but includes personal safety devices such as hardhats, work gloves, safety vests, and goggles. In fact, it includes any safety device or equipment that would have prevented an injury. If you are injured because you had defective safety equipment or were not provided with any safety fall equipment, our firm will hold the owners and general contractors responsible for their failures. A lack of safety equipment is not acceptable. Every worker is entitled to be protected on the work site and be guarded against the risks of gravity and the dangers of working. Safety equipment is specifically designed to prevent injuries when working at construction sites. If any of these situations seem familiar to you and you have been hurt on the job, call us. Touch base with us whenever you have been injured as a result of a lack of safety fall protection equipment in the workplace. Contact Silberstein Awad & Miklos immediately. In almost all cases we will be able to get you the compensation and money damages you need and legally deserve.